10 mins from a village with amenities. 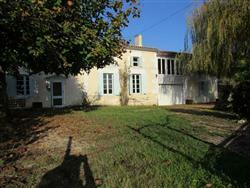 45 mins south of Limoges airport and 1hr40mins NE of Bergerac airport. 50mins NE of Brantome (known as the "Venice of the Périgord"). A CHARMING DORDOGNE VILLAGE HOUSE WITH 3 GITES & A SWIMMING POOL - and an established turnkey income-generating enterprise. Excellent rental track record & scope to increase income with further development. Beautiful spacious detached House with 4 Bedrooms – 216m2 living space. 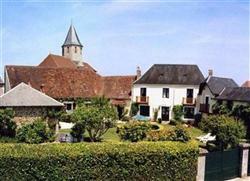 3 Gites for up to 15 guests in total, to be sold fully furnished & equipped. WIFI internet access (currently offered free to guests). Fully equipped games area. Workshop. Log store. Garage. Tiled Swimming Pool. 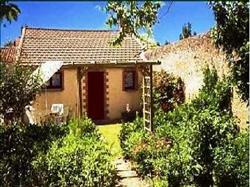 Delightful mature enclosed Gardens of about 0.31 acre. 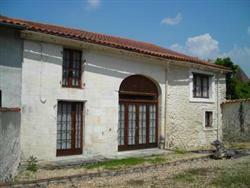 Situated in the north of the Dordogne, in a peaceful village within easy walk of all amenities. 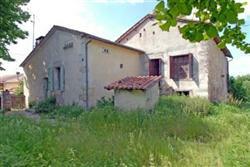 CHARACTER STONE BUILT HOUSE UNDERGOING RENOVATION, WITH A LARGE ATTACHED BARN TO DEVELOP, IN 1.75 ACRES. 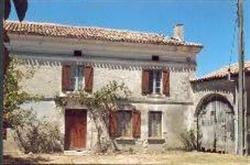 Peacefully located in a small hamlet between the market town of Ribérac & riverside town of St. Aulaye, this is a stone built “longere” comprising a basically habitable house (some finishing/upgrading work required) with a large attached barn to extend into or develop later if required. The barn has 170sq.m. 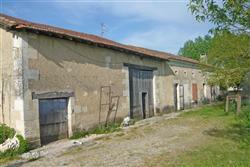 on the ground floor, with convertible attic, and would be ideal for extending the house into, or for creating 1 - 2 guest houses/gites to turn this into an income producing property. NOW just 77,000Euros (inc. agency fees) / about £62,000 sterling subject to exchange rate. Between the Roman town of SAINTES and the market town of Matha. near a pretty village with 11th c. church, village shop, post office and hairdresser. Vendor says "the village has a friendly vibrant atmosphere"
with GARAGE, games room and OUTBUILDING suitable for further development. 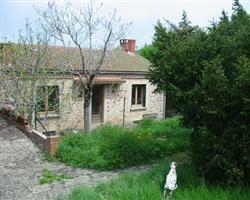 Set in enclosed GARDENS of just under 0.5 acres (1900sq.m. ), ample space to put in a POOL if required, to enjoy those lazy summer days and nights. Sold FULLY FURNISHED and EQUIPPED as seen. Sadly, bereavement leads to this sale. HEATING - recently updated wood-fired heating with 8 radiators. LAND - 1,583sq.m. 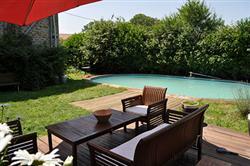 (about 0.4 acres) with above-ground swimming pool with decking surround. OUTBUILDINGS/BARN - lots of outbuildings for further development - huge 2-storey stone barn (ground floor was used as lambing pens & stables when it was a working farm), plus there's a workshop and large lean-to.